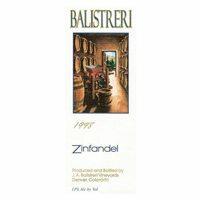 Balistreri Vineyards is a family owned and operated winery and vineyard. Their wines are made completely natural, with a very approachable easy drinking style. Winemaker John Balistreri has been making wine for more than three decades, combining both traditional wine-making methods with modern technology. His wines are hand-crafted, one barrel at a time, with grapes that are fermented on their own yeast, unaltered by sulfites and aged in American oak.A family owned & operated winery/vineyard. Our wines are completely natural, with an easy drinking style: Cab Sauvignon, Merlot, Syrah, Cab Franc, Zinfandel, Sangiovese, Chardonnay, Muscat, Cherry Wine, Viognier & Port. I-25 to 58th Ave exit, east to Washington St, north to 66th Ave, east on 66th Ave, 3/4 mile to winery. Open seven days a week - 11:00 a.m. to 5:00 p.m.